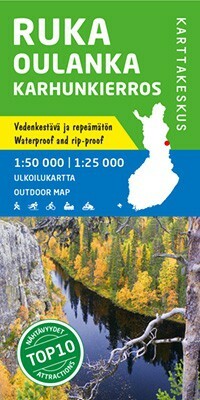 The outdoor map Ruka Oulanka (Bear Trail) covers the most beautiful trekking areas of Kuusamo. Included are the popular Karhunkierros Hiking Trail, Oulanka National Park, the hiking trails and cross-country ski trails in the vicinity of Ruka Resort and the inviting fishing spots of the River Kuusinkijoki. The region is popular among cross-country skiers, hikers, fishers and snowmobilers. 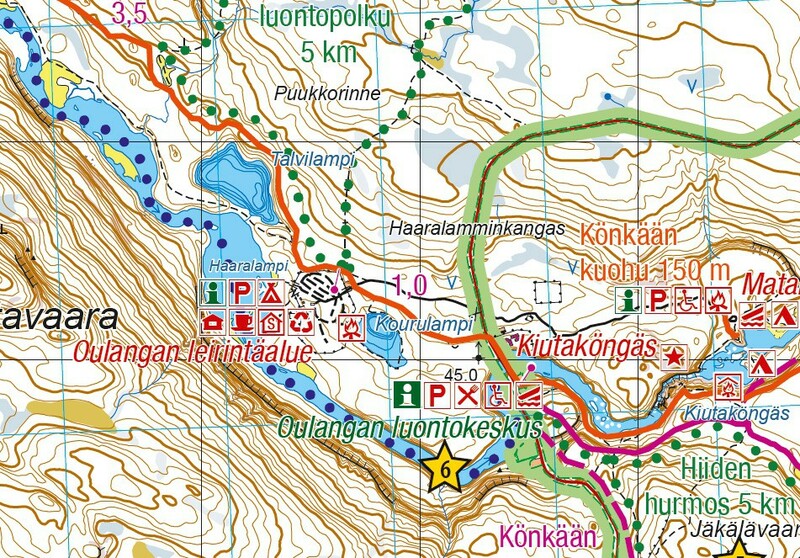 In addition to detailed information on the terrain, the map shows e.g. 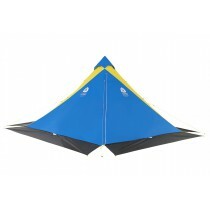 the wilderness huts, hiking trails, snowmobile routes, eating places, accommodations and sights. Also paddling and white-water routes are shown. The Karhunkierros Trail and the Pieni Karhunkierros Trail are in their own colours to separate them clearly from the other trails. 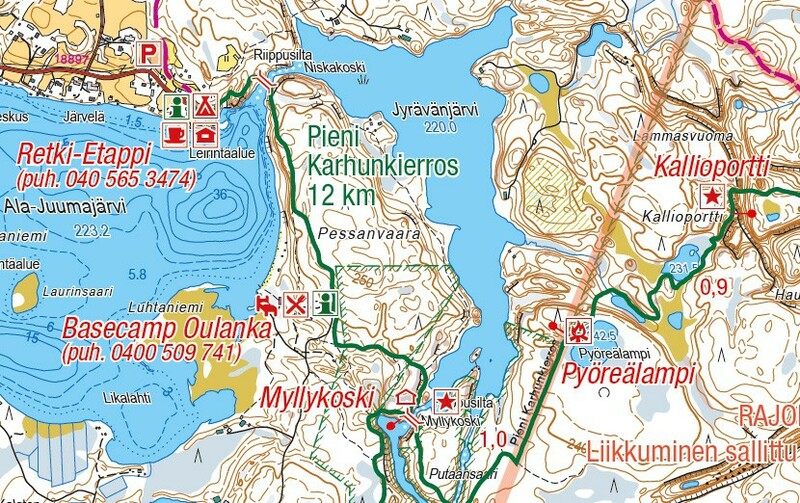 There is a larger version of the Pieni Karhunkierros Trail on the side of the map as well as a map of the Ruka Resort with road names, travelling information and details on services provided in the resort. The map has the WGS 84 coordinates of all the wilderness huts in the area and magnetic declination information. 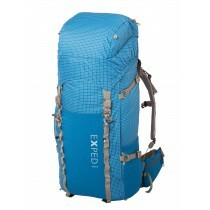 The map can be used with three coordinate systems (metric ETRS-TM35FIN, geographic grid EUREF-FIN and the metric YKJ Uniform Coordinate System) and with a GPS device. The scale of the map is 1:50,000 (1 cm on the map = 500 m on the ground), and it is double-sided.